Top American journalist Jeffrey Goldberg clashes with news outlet Haaretz on Twitter over what he calls their 'cartoonish anti-Israelism'. A "Twitter war" erupted today between prominent American-Jewish journalist Jeffrey Goldberg and defenders of the left-wing Haaretz newspaper and website, after Goldberg criticized some of Haaretz's editorial choices. “The death of vast numbers of Jewish communities as a result of Zionist activity has impoverished the Jewish people, robbing us of these many cultures that have fallen into the maw of Israeli homogenization." Goldberg and many others bristled at the implication the "Zionist activity" was what caused the death of vast numbers of Jewish communities in the 20th century. As the fallout from Professor Diner's article progressed, with Goldberg tweeting a link to a rebuttal piece against the article's claims, Haaretz journalists responded. To which Goldberg retorted: "I see. Criticism of Israel is allowed. Criticism of Haaretz is not." The bigger battle came later in the day however, as Haaretz journalist Anshel Pfeffer got into the act. "Another round of Haaretz-bashing from @JeffreyGoldberg and others who should know better," Pfeffer tweeted, linking to an article he wrote 2 years ago responding to this type of criticism from people such as Goldberg. 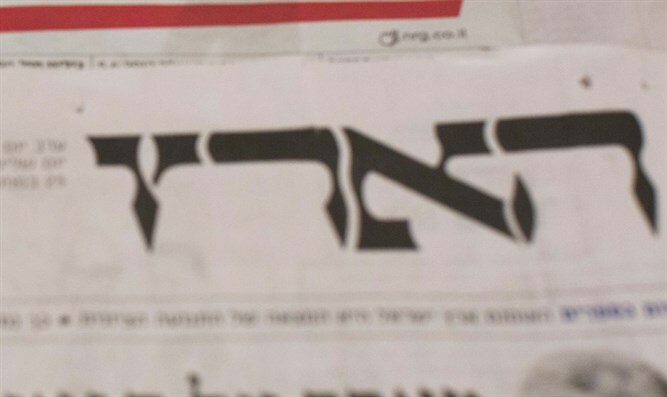 This sparked a long back and forth between Goldberg and Pfeffer, with Goldberg calling on Haaretz to "take responsibility for what's in you newspaper. Haaretz, like anything, is not above criticism," and claiming that there were "too many absurd op-eds to argue with. The choice of op-eds reflects the sensibility of the editors, I have to imagine", when challenged by Pfeffer to specify his opposition and direct his criticism at the authors of the specific articles, not Haaretz as a whole. Goldberg, like all Jewish journalists on Twitter, gets a large amount of anti-Semitic abuse tweeted at him and emailed to him on a regular basis, and this statement to the effect that some Haaretz op-eds feature in emails from neo-Nazis as justification for their propaganda caught the attention of many of Haaretz's opponents. Goldberg earned a re-tweet from Public Security Minister Gilad Erdan of the Likud, who went on to comment that "just a few days ago I was fiercely attacked here on Twitter because of my criticism of Haaretz's terrible headline calling Israel 'evil'."